There's only one word to describe this October: busy! Work has been incredible, with a program at my museum by quilter Chawne Kimber, attending and hosting a closing reception for the 2nd National Symposium on LGBTQ Research in Higher Education, and working with an amazing professor to make a Women in Science quilt as part of her class. My first article for Modern Patchwork magazine also came out this month! 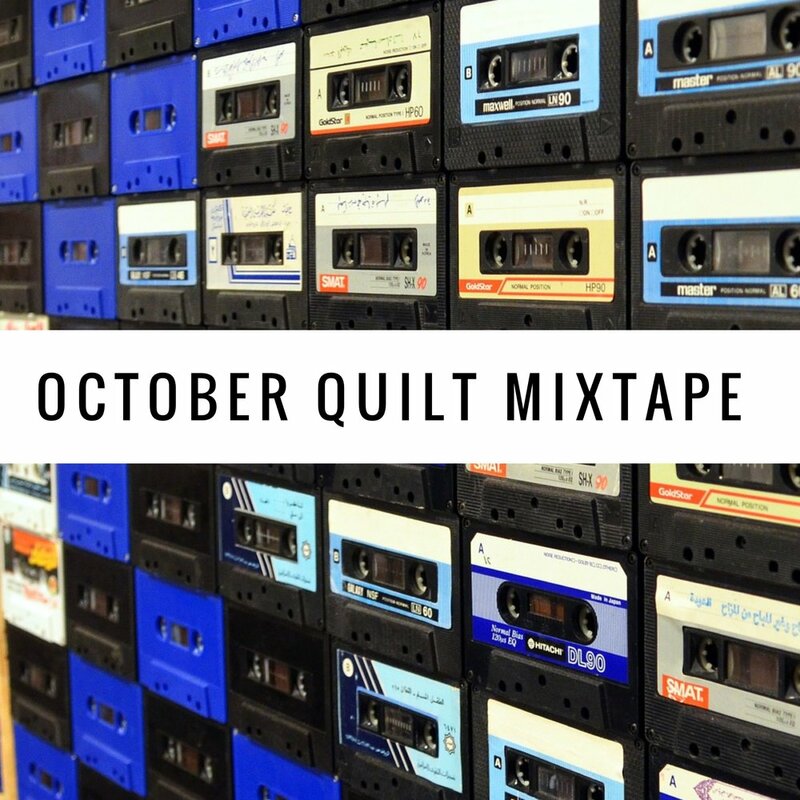 October was also the Chicago MQG retreat which was a much-needed break for sewing, finishing up a quilt for market, and trying to catch up on a lot of quilt projects I've had on my mind. I haven't been able to focus on podcasts, so I've been listening to even more music than I usually do! I've spent much of the month listening to the new St. Vincent album Masseduction on repeat, but I've also listened to a lot of other musicians that help keep me energized or focused during particularly busy times. If I'm counting correctly, October also is my 12th Ben Folds show, so I've spent a lot of time listening to my favorite songs of his. Make sure to watch the last video in this month's mixtape and if you love it as much as I do, listen to Aimee Mann's interview about that song on one of my favorite podcasts, Song Exploder. Happy quilting! I hope you find a new musician to listen to while you work!